As a roofing contractor with over 14 years in the industry, we have developed an in-depth process for replacing old, worn out roofs. Every customer who works with Tristate Roofing gets more than a generic roofing system. Our consultants help you select a customized roof with your preference of shingle style, material, and colors. We also rebuild the roof from the sheathing upwards for a complete roof replacement. 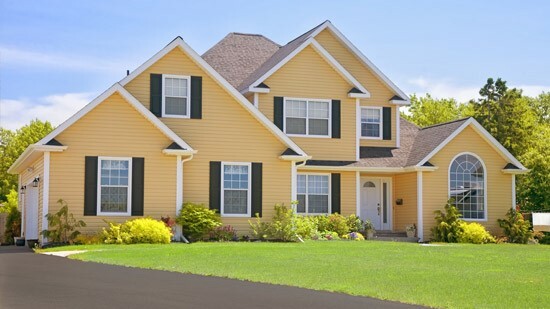 Tristate Roofing knows that homeowners would rather make roof repairs whenever possible. Keep a close eye on your property and have our contractors out to complete an inspection whenever signs of damage or wear appear. With prompt action, you can keep the costs for our roofing services affordable. This will also prevent further damage from water leaks and the growth of mold and mildew in the compromised areas of your roof. If you want a roof that is highly resilient to damage from hail, wind, and fire, consider making the switch to a metal roofing system. Our metal roofing gives you the protection needed to stand up under the worst assault that Pacific Coast weather can manage. Metal roofing has come a long way in recent years too. We have options that simulate the look and style of shingles, cedar shakes, and tile. Pick the look and style that you want for your home. Tristate Roofing can assist you in the selection of the perfect roofing system, or help you determine what kind of repairs are needed to fix storm damage. Sign up for your free price estimate and in-home consultation by giving us a call or filling out our online form. Our team will make sure you get an affordable quote that can't be beat!